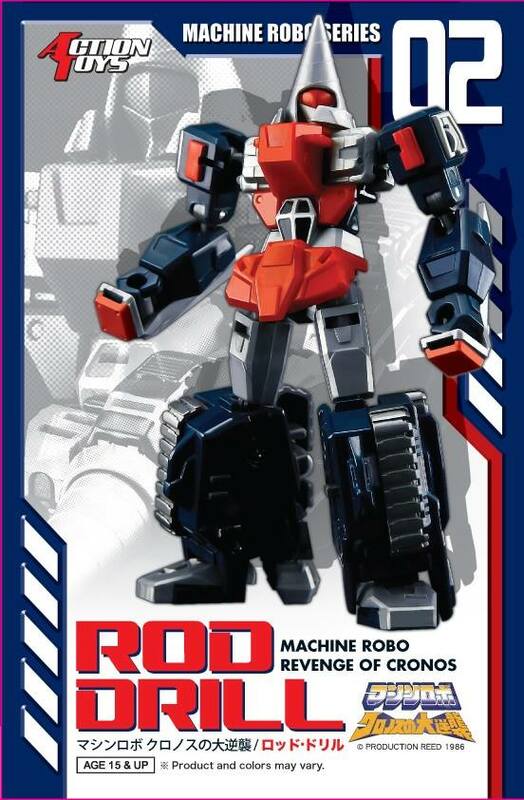 Action Toys is making modern updates of the classic Machine Robo (Gobots) characters! 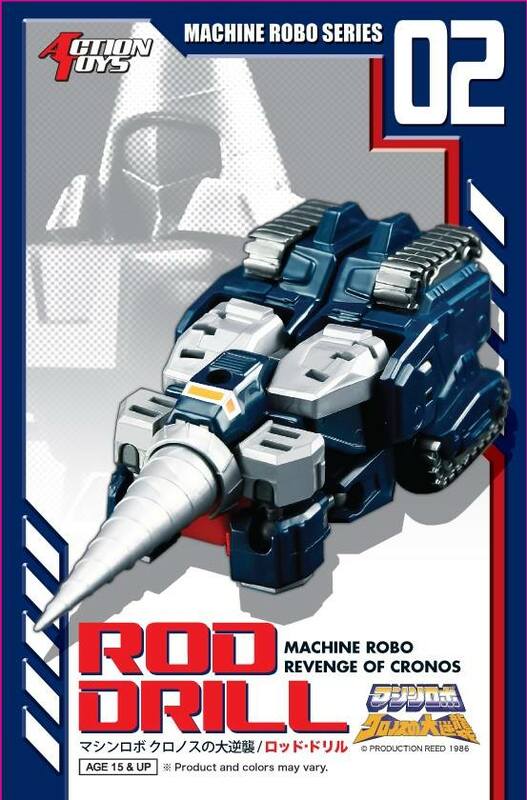 Second up is Rom Stoll's jovial buddy, Rod Drill! Can transform from lazy dummy to drill tank and back! The toy is styled after his appearance in the Machine Robo: Revenge of Cronos anime. Price and release date are to be announced.